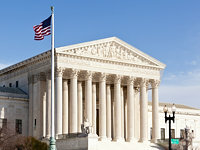 Last Thursday, the Supreme Court, deadlocked at 4-4, rendered a terse, nine-word, one-sentence non-decision on the executive actions known as DAPA (Deferred Action for Parents of Americans) and DACA plus (Deferred Action for Childhood Arrivals). The absence of one justice on the bench deprived more than 5 million people of the just recognition they deserve. It took courage for people to step forward to ask for temporary relief from the threat of deportation for themselves and their family members. Their goals were to be recognized, to be heard, to go to school and to earn a living, and to demonstrate their desire to keep their families together. That courage was met by a Congress and Supreme Court that are incapable of action, and politicians using people as political footballs, kicking the vulnerable back to the shadows. Our country has suffered through fractious debates over the past decade on several issues, perhaps none as contentious as immigration. This has caused paralysis. When Congress had the opportunity to address comprehensive immigration reform, the House failed to act and permitted the issue, and those affected, to languish. The administration then announced efforts to prioritize enforcement efforts, with mixed results. Through the efforts of immigrants, and with the backing of the majority of Americans who support immigration reform, the Obama Administration attempted to further focus enforcement efforts on dangerous criminals and human traffickers by announcing DAPA and DACA plus. This would deprioritize the parents of U.S. citizens and green card holders (DAPA) and expand DACA eligibility to a wider group of undocumented immigrants brought to the U.S. as children by providing a two year reprieve from the fear of deportation and allow families to stay together. Easy cases do not reach the Supreme Court. Easy answers are not rendered by Supreme Court decisions. It is hard to digest how nine words – “The judgment is affirmed by an equally divided Court” – can so quickly decimate the hopes and dreams of more than four million people after months and months of waiting. Tens of thousands of people have been pushing for action only to see a procedural decision render the action fruitless. Where does that leave us now? First, the elections in November matter. The next president and Congress will determine the direction of our country, including the make-up of the Supreme Court. Who is elected to Congress matters as the people sent to Congress from states and districts nationwide will decide whether and how immigration law will be reformed. Second, it is well past time for the Congress to pass immigration reform. As a nation, our values are to accept new immigrants and their contributions to our country. We need an immigration system that works, that appreciates our shared, interconnected humanity and values. This 4-4 ruling reinforces NAFSA’s strategy to directly engage Congress to create comprehensive immigration reform that works. The dysfunction surrounding our immigration system impairs our ability to attract international students and scholars and the innumerable rewards and contributions we receive from their presence. We all must continue to advocate for immigration reform in Congress. Also, continue to talk to your family and in your community on why immigration reform matters to you and remember to vote in November.